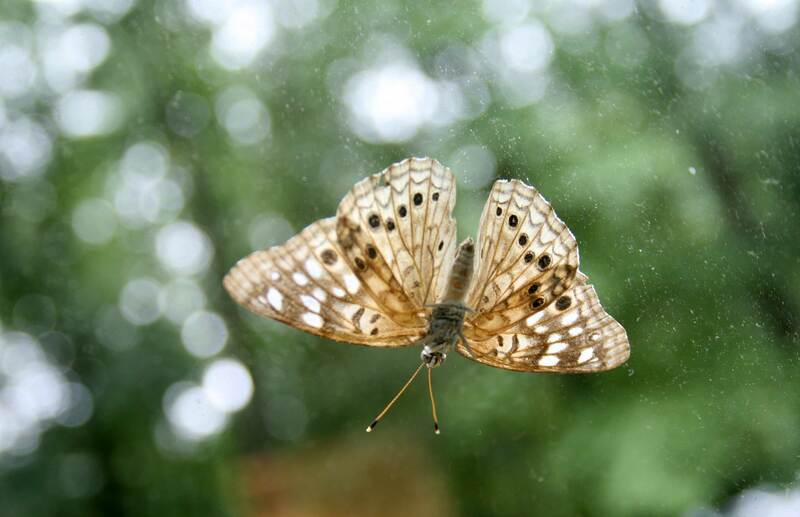 Butterfly, skipper or moth? 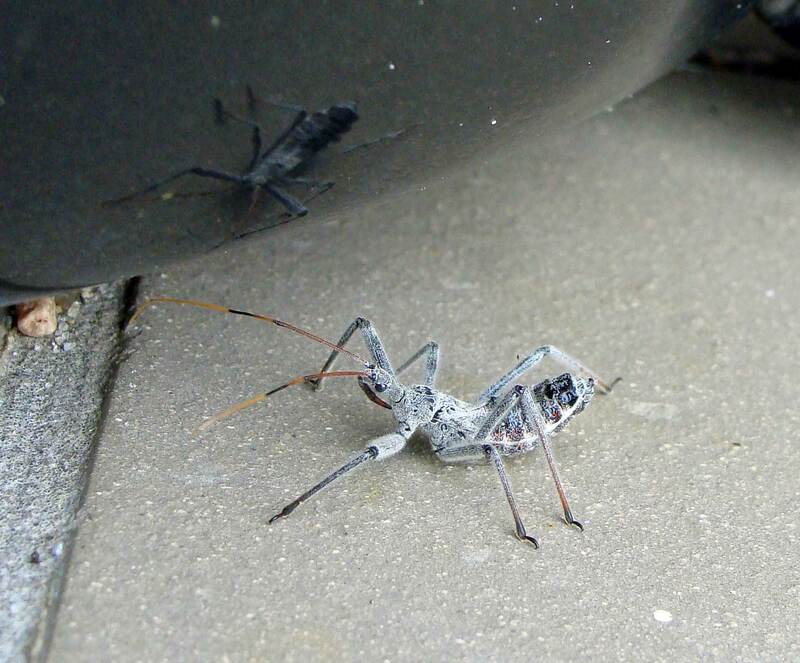 Nature will always remind us of our own ignorance. 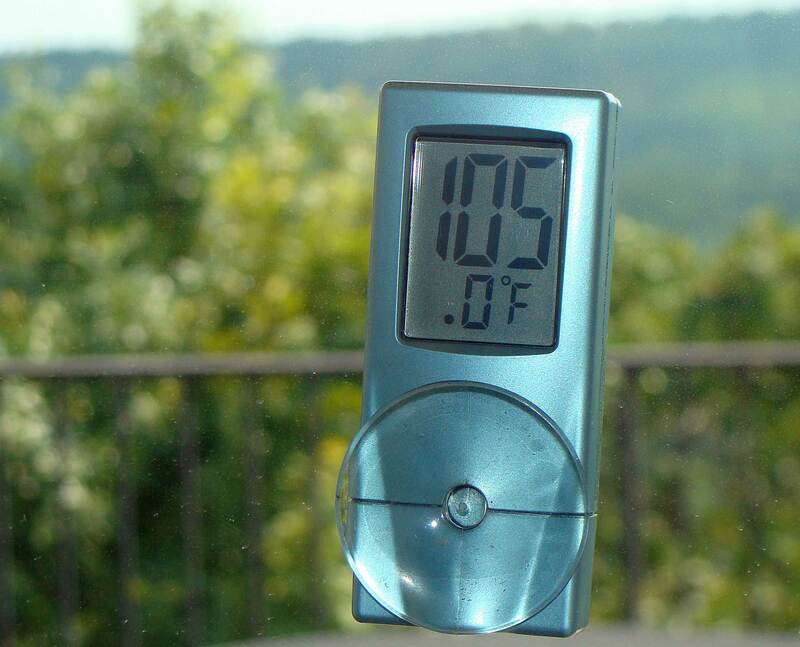 This backlit beauty comes from the July 2009 archives, shot in my office window. Pollinators such as this are part of The Bee Project. 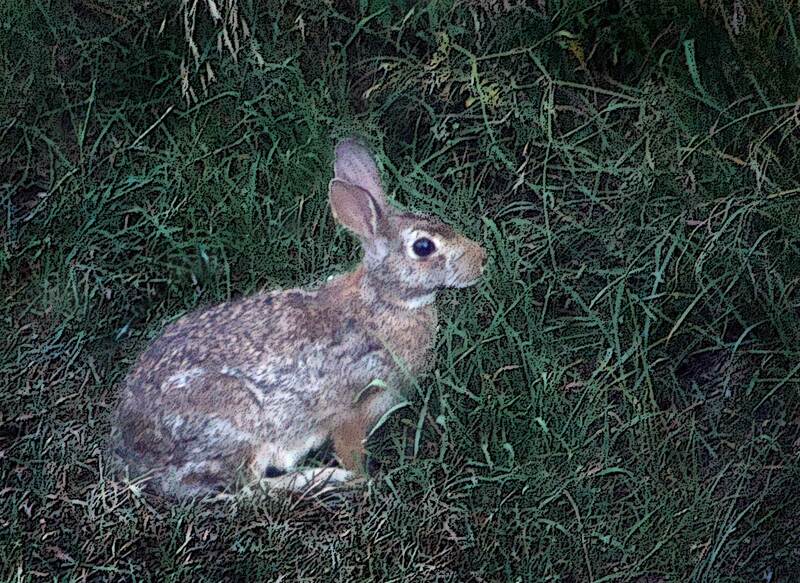 Even after the grass was mowed, the bunny showed up to graze. Another shot from the Little Rock Zoo archives. Probably talking about the funny looking primates on the other side of the fence. 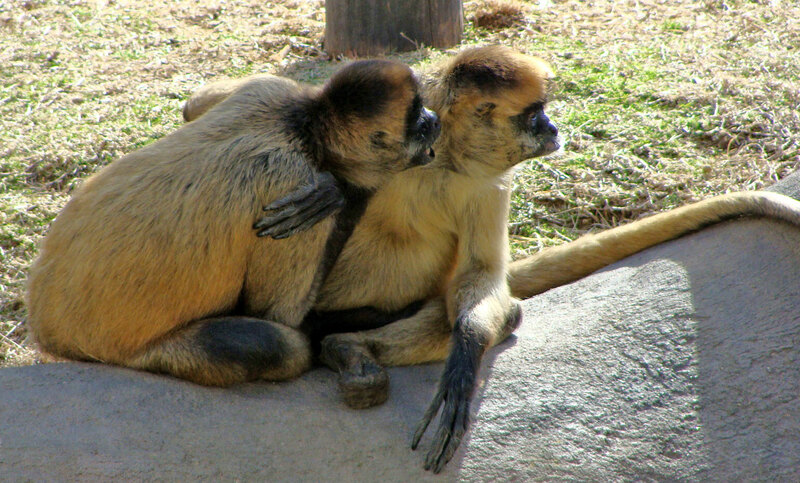 Two primates share a secret at the Little Rock Zoo. 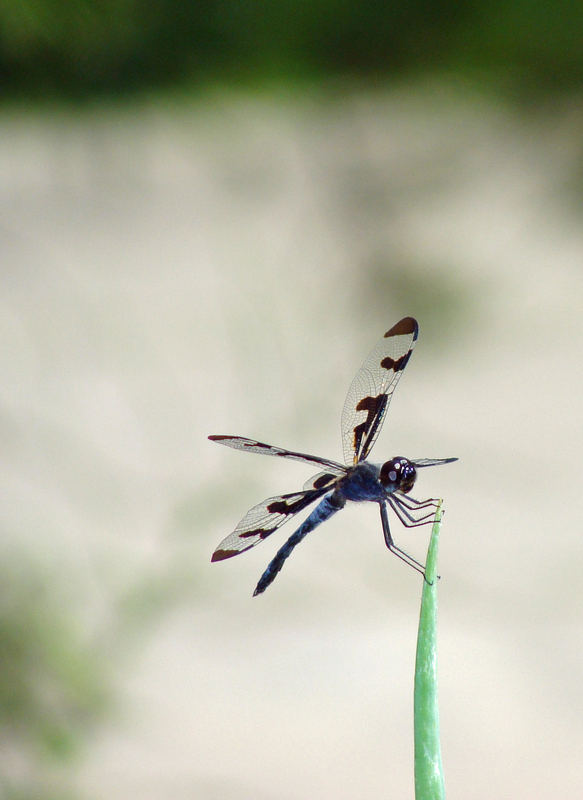 A dragonfly clamps on to its mooring of the moment, an onion stalk. Two of a small cast of characters on the mountain become part of one image. Wading into the thorny bramble provided a basket full of blackberries, with a side of punctures. 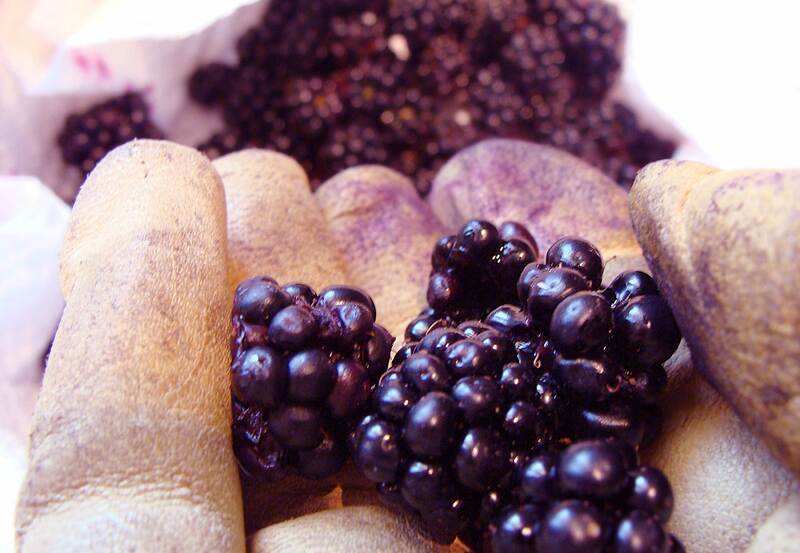 BEFORE: Purple-stained gloves come with a morning round of berry picking. 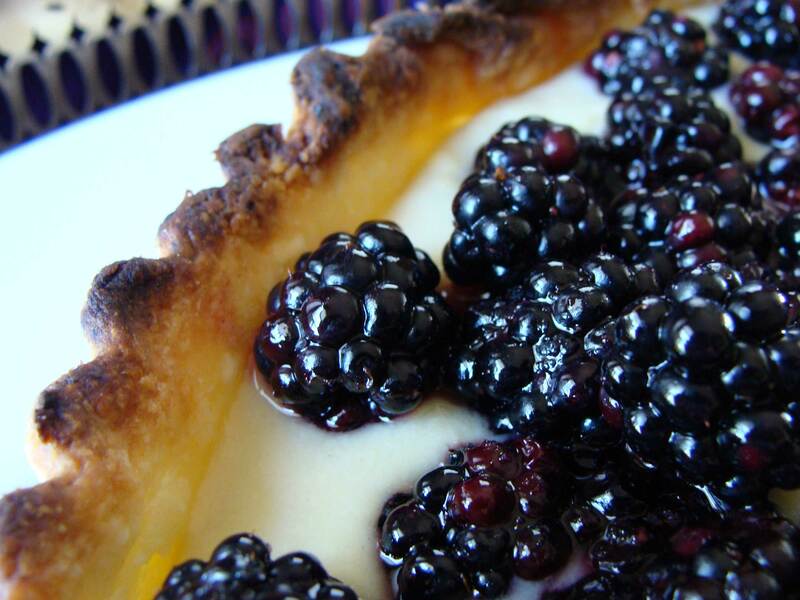 Postcript: Wading into a French cookbook yielded a traditional tart with fruit and custard. 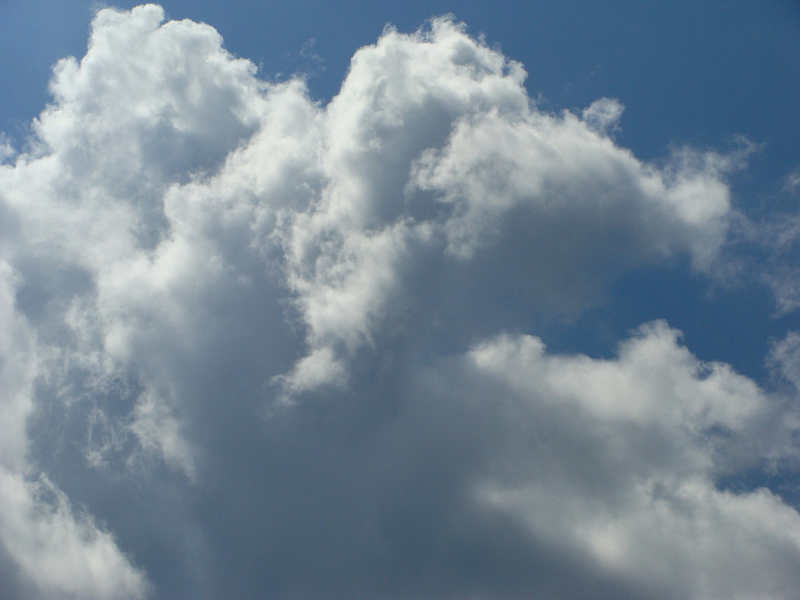 During breaks from mowing and weed whacking in the 95-degree heat, it was nice to just sit and watch the clouds roil and bubble and dissipate. 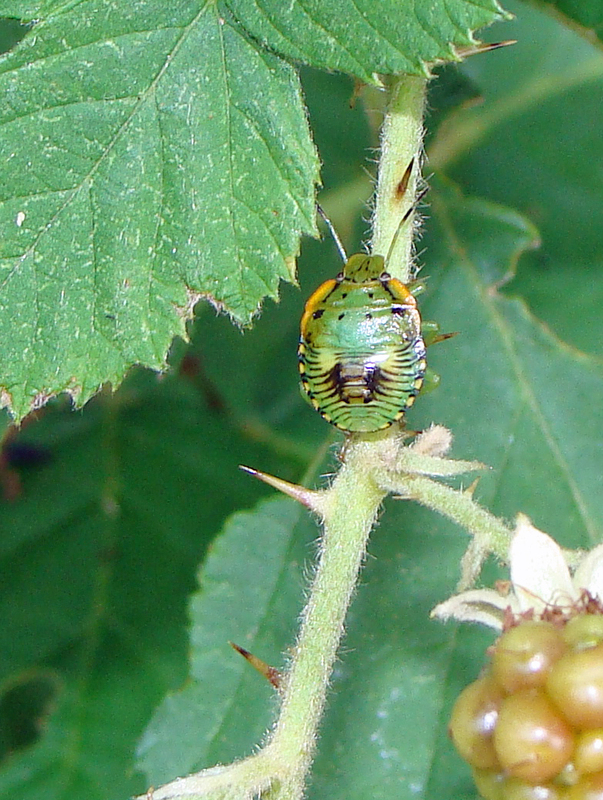 Colorful bug motors around a blackberry branch. One of the most fun places in Ferndale is the 4-H Center. 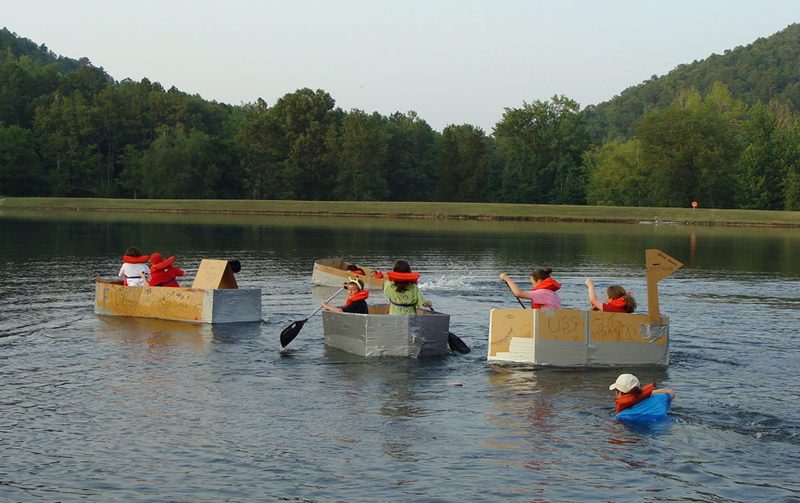 Last night, 4-Hers ages 10-13 designed, built and paddled their own cardboard boats in a race across the lake. Only one boat tumped and with the temperature still in the upper 90s at 8 p.m., the sailors didn’t seem to be complaining too much about being in the drink. Cardboard boat racing hit the national media scene as part of an annual July event at Heber Springs. The boats at Heber may be more elaborate, reflecting months of planning. The 4-H boats were seaworthy with just a couple hours devoted to design and construction. The four entries make way at the start of the cardboard boat race.